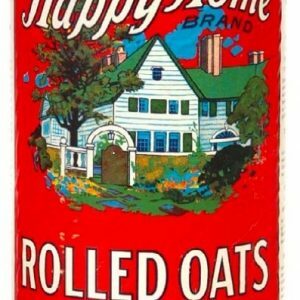 Tall 2-1/2 lb. 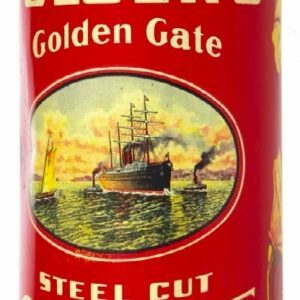 size tin litho product can for Folger’s Co.’s Golden Gate brand coffee featuring beautiful graphic image of Co.’s trademark ships. 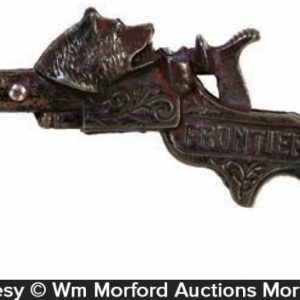 SKU: 78-203. 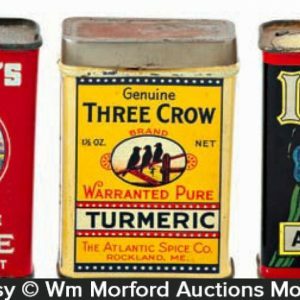 Categories: Antique Coffee and Tea, Antique Tins. 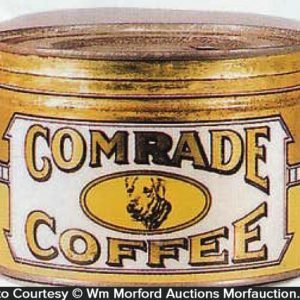 Company/Brand: Folger's Coffee Co., Golden Gate Coffee. 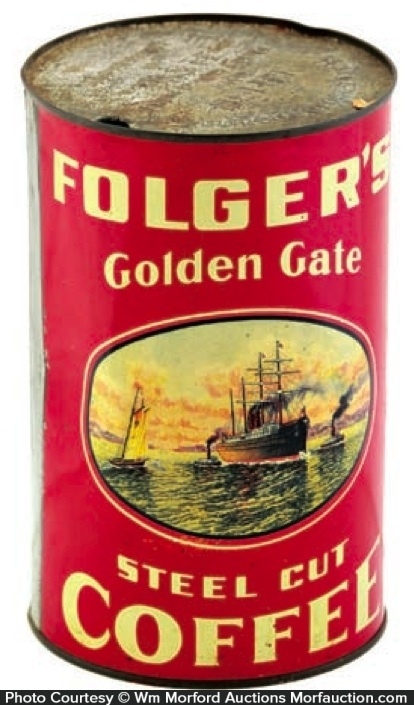 Folger’s Golden Gate Coffee Can: Tall 2-1/2 lb. 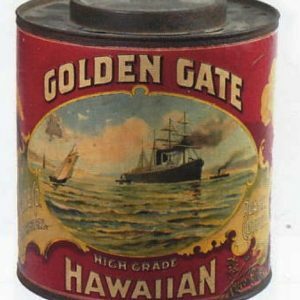 size tin litho product can for Folger’s Co.’s Golden Gate brand coffee featuring beautiful graphic image of Co.’s trademark ships. 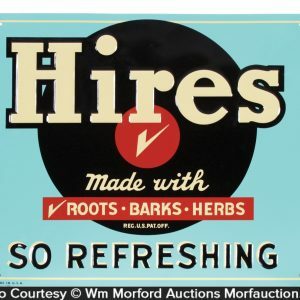 Clean, bright and very attractive appearance (displays as a nice C. 8/+) w/ exception of a little non-offensive minor background wear and dent spot at left side edge.